A fighter jet from North Korea has crashed in to the territory of China on Tuesday. The aircraft was supposed to be on its way to Russia, as it crashed into the Chinese region, stated by an intelligence source. 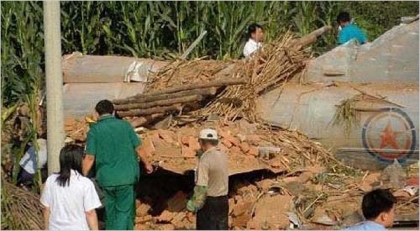 Reports say that the plane crashed in the Fushun County, in the Liaoning Province of China. It is now reported that the plane was trying to defect into Russia. The crash has turned into an embarrassing moment for Pyongyang, as a pilot along with his plane was trying to defect N. Korea and accidentally crashed into China. The pilot involved in the crash has been killed. On the other hand, China and North Korea have joined hands in repatriation. The plane looks like a Soviet Era jet, and whether it belongs to N. Korea, the investigation will disclose later.